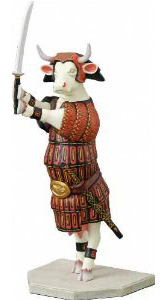 Doesn’t this cow look cool? Or hot, depending on which side you’re looking at. I’m really starting to think Henry’s is embracing the daily cow spotting theory. 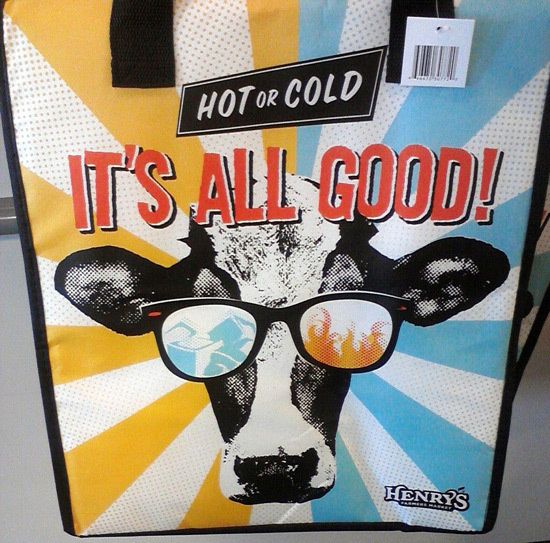 Between their monthly flyers, store signage and now two new bags, they’re catching on to the subliminal purchasing power of the cow. Buyers beware! 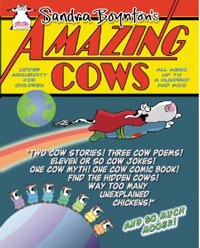 Previous Post This may be the most shocking cow spotting of the year! I had never heard of Henry’s Marketplace before I started reading your blog…is it a California only grocer OR just in the West? Maybe I should be lucky we don’t have one since cows appear to have this “subliminal purchasing power”….